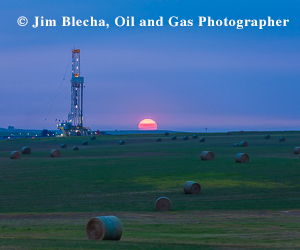 HOUSTON–Well bore ballooning or breathing during drilling has become a greater challenge in horizontal resource plays. Ballooning is a formation anomaly whereby pumped fluids’ circulating friction pressure forces drilling fluid from the wellbore into the rock’s microfissures, which open only enough to contain fluid, but not enough to permanently fracture the rock. When the fluids cease to be pumped and the circulating friction pressure is lost, the overburden of the rock forces the contained fluid back into the wellbore. In short, circulating friction causes fluid losses at the surface. The formation takes drilling mud when the pumps are on, but when the pumps stop, the fluid returns to the surface. The process is similar to how a balloon holds air then returns it to the atmosphere when reopened (Figures 1A and 1B). In a ballooning well, fluid is temporarily lost to the formation. Identifying ballooning effects is critical because the well will behave as if it were taking a kick. The question boils down to whether a well is ballooning or kicking. Is the formation merely returning injected drilling fluid or is a blowout imminent? Sometimes what we perceive may not correspond with the facts. Considering that well ballooning can be confused with a kick or an even more serious well control situation, which of the following case histories is an example of well ballooning? In the first case history, a driller noticed partial losses of approximately seven barrels. When the time arrived for a bit change, the operator shut down, lined up returns to the trip tank and conducted a flow check. The flow check was negative, so the crew began to pull out of the hole using continuous fill. The trip tank volume began dropping. After several stands were pulled, a derrick hand noticed steadily increasing trip tank volume. Even so, the volume was manageable and equal to the losses recorded while drilling. If a formation is ballooning, returns will be nearly equivalent to losses. In the second case history, crew members that were drilling a new hole section that projected to be a ballooning shale formation were warned to keep their eyes open for signs of ballooning. After making a few connections, the crew noticed a slight increase in flowback. The volume was small and increased only slightly during the next few connections. The third case history dealt with mud losses that began to occur while drilling through soft shale. The driller stopped circulation to flow check and observed a pit volume gain. When drilling resumed, fluid losses were observed. Every time the pumps were shut off to make a connection, the well gave mud back with only a slight increase in flow rate. Which well was ballooning? The answer is none of them. Each well was taking an influx (that is to say, kicking). Although it seems arguable that one of the wells was ballooning, all the wells’ subsequent ballooning analysis showed a flow increase. Kicking wells indicate a flow increase, while ballooning wells show a decrease. Lacking either well “fingerprinting” or a ballooning flow test, wells in such situations should be considered kicking. Too often, drilling crews, management and engineers perceive a well to be ballooning without performing a requisite investigation. Decisions are executed based on perceptions instead of facts: Those decision makers believe the well is ballooning when, in fact, it is kicking. Misdiagnosing a kick as ballooning can have disastrous consequences. Careful analysis of ballooning characteristics can prevent a catastrophe, potentially damaging life, limb, equipment, the environment, company finances and the industry’s reputation. Consider another example: In a field known to balloon around 30 barrels, the drilling crew was tripping out of the hole. The driller kept an accurate trip sheet, which showed the fluid volume needed to replace the steel volume removed from the well. The total drilled depth was 16,000 feet; 6,000 feet of it vertical and the remaining 10,000 feet horizontal. After tripping 8,000 feet of pipe from the well’s horizontal section and with another 8,000 feet left to trip, the driller noticed less fluid volume was needed to replace the pipe’s steel volume. The volume in the trip tank had increased approximately 20 barrels since the operation began. The driller stopped tripping and performed a flow check, which showed a slight flow–about the diameter of a small water hose–was returning. Noting the return flow, the driller called the operations supervisor, who decided the well was merely ballooning and directed the driller to continue tripping. Over the course of tripping another 50 stands, 220 barrels were pumped from the trip tank into the main mud tanks, with all the volume originating from the well. After conferring with engineering, both the engineer and the operations supervisor concluded that the well was only ballooning. The driller tripped another five stands and performed a flow check. The crew members, who did not understand how to interpret the minor shut-in pressures, tripped back to the kickoff point and began circulating through the flowline (note that they did not strip back). A gas bubble had migrated into the well’s vertical portion and was being circulated up the wellbore in diesel-based mud. When the gas surfaced, it broke out of solution, and blew the flowline off the blowout preventer, sending portions of flowline 40 yards across the location. The gas reached an ignition source and ignited, causing several million dollars’ worth of damage to the rig. Fortunately, no one was hurt. Was concerned about being fired because he had been laid off work for a year and had returned for only a few months. Why did the operations supervisor and engineer think the well was ballooning? Since other wells in the field experienced ballooning, this well was likely to balloon. The well acted as if it was ballooning, since the flow was minor. Even after shut in, low surface pressures were observed on the gauges. Why did the rig crew not interpret shut-in pressures? Members had not been trained how to determine the status of a well based on pressures. The shut-in pressures were lower than the crew had seen in normal kick situations. Why did management choose to circulate the well through the flowline? Everyone was keen to reduce nonproductive time, so they did not circulate the well through the blowout preventer, choke and mud/gas separator. The flow was minor and pressures were low, so it was assumed that there was no gas in the well, since it was perceived to be ballooning. Why was the well not fingerprinted, or in the absence of fingerprinting, why was no ballooning flow analysis performed? Neither the engineer nor the operations supervisor were aware of the fingerprinting process. NPT increases if the rig stops for a ballooning analysis; the process takes time. The incident’s root cause probably amounted to a perception by management and the crew that the well was ballooning because other wells in the field had ballooned, the flow was minimal and the shut-in pressures were low. Management did not determine with certainty that the well was, in fact, ballooning by using fingerprinting or flow analysis. Minimal flow characteristics, low shut-in pressures and field experience contributed to the false conclusion that the well was ballooning. Relying on perception, instead of determining the facts, led to the decisions behind the incident. What would have eliminated the root cause in this case history? As stated earlier, fingerprinting or ballooning flow analysis are two ways to accurately determine whether a well is ballooning or kicking. Fingerprinting is the process of graphically tracking any fluid losses into formation microfractures. Surface volume losses are tracked while the pumps are on. If the crew is not building mud to replace the volume needed to fill the drilled hole, the potential ballooning losses are total volume lost minus drilled hole needs. If the drilled hole fill is 1.5 barrels a stand and the total losses are 5.0 barrels, the formation took 3.5 barrels. If the well gives back approximately 3.5 barrels at connection, determined by graph, the well is probably ballooning. This give and take of fluid usually will be consistent from connection to connection (Figure 2). Fingerprinting is a graphical tracking of fluid losses into the formation that makes it possible to recognize if a well is ballooning or kicking. If the well is flowing, shut it in. Slowly bleed off fluid for a given time into an easily measured tank (be certain to bleed no more total fluid than the kick tolerance). Time the flow back, shut the choke and measure the amount of volume flowed and again record pressures. Bleed the same amount of time again recording the pressures and flowed volume. Repeat the process several times until a flow pattern can be established. If a well is ballooning, the flow volume will decrease on each cycle. Accordingly, the wellbore pressures will decline. If the flow volume or gauge pressures increase, the well is kicking. The kick should then be circulated out through the BOP, choke and mud/gas separator. In today’s land drilling operations, we see wells balloon more often because of the close proximity of lateral wells and production enhancement practices, even in fields that previously never experienced ballooning. To press on because of nothing more than perception is a recipe for disaster. What rig crews and supervisors believe by perception may not always be fact. Without careful well analysis leading to certainty, the well should be considered to be kicking, not ballooning. Determining the difference between a ballooning and a kicking well, objectively, through facts ascertained by fingerprinting or flow analysis, is the only way to proceed safely. STEVE L. RICHERT is manager of instructor and course development at Wild Well Control in Houston, where he leads education and development for well control instructors, including knowledge progression, certification, and course and instructional materials development. He has 20 years of industry experience, coupled with a 20-year adult education background in the pedagogical study of human knowledge acquisition. Richert joined Wild Well Control in 2012 after previously serving as a driller at Ensign Energy Services, and as a financial specialist at U.S. Bank and TD Ameritrade. He studied mechanical engineering at the University of Oklahoma and holds a B.A. in history and philosophy from Grace University.